Anyway, isn’t it pretty? 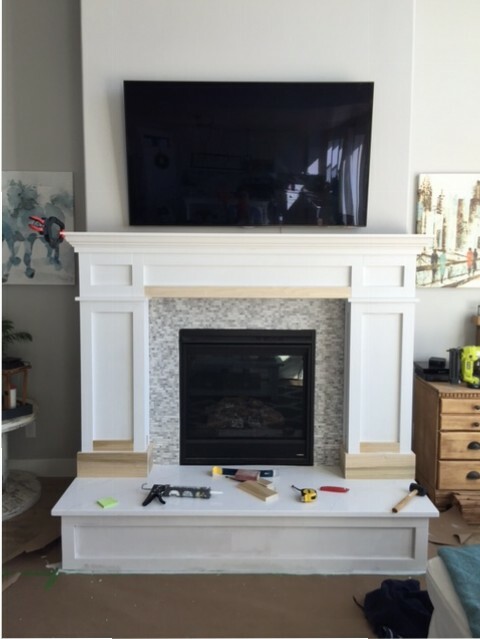 The quartz was delivered and installed and it’s the same as our kitchen quartz (Hanstone Tranquility) and I added the final trim around the feet of the mantel. And I had to fix that center trim piece because the mantel fell over when the hearth stone was being installed and it caused some damage. 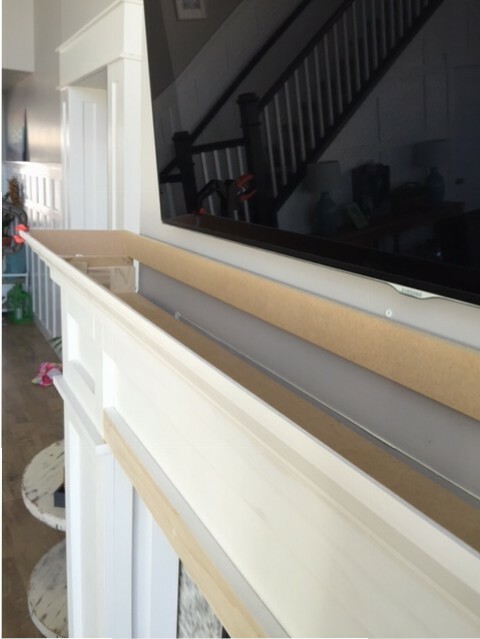 I also had to add a piece across the back to cover the openings caused by crown molding. It also helps to complete the rectangle on the top which will support the top piece. I filled nail holes and caulked here and there and sanded really well and it was time to paint.